One of the GIFTS I made to hand out on the day of interment of Mommy's ashes was this little Sunflower Mandala design (I made one for the table next to Mom's chair). 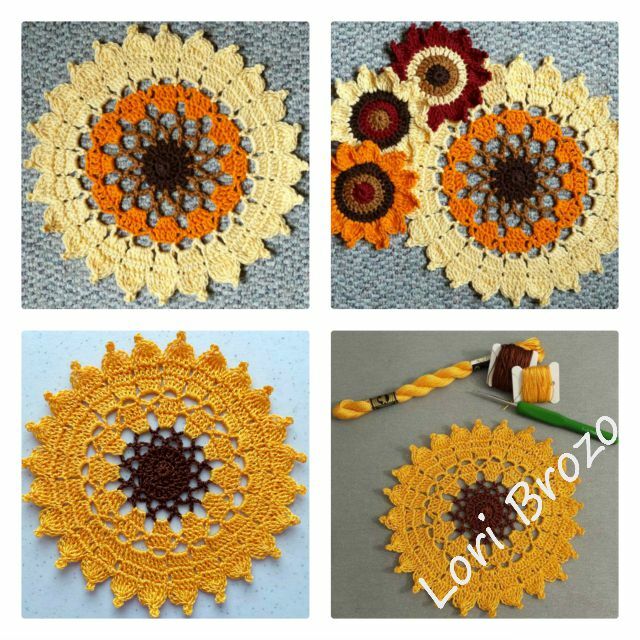 I call it "Sunflower for Mommy"
To celebrate the release of my new pattern I am offering a 30% discount on the purchase of all or any of my three Sunflower Patterns - using Coupon Code SUN0002. This promotion is valid from now until Sunday, 23 August 2015. I am working on a FREE pattern for a little butterfly which looks lovely sitting on the corner of the mandala - so keep an eye on this and my Zooty Owl Facebook Page! My wonderful crochet buddy Lori Brozo tested this pattern for me (she also made quite a few)! Thank you so much Lori - I can always rely on you to get the testing done swiftly and accurately! You ROCK! Have a wonderful, sunshiney weekend! 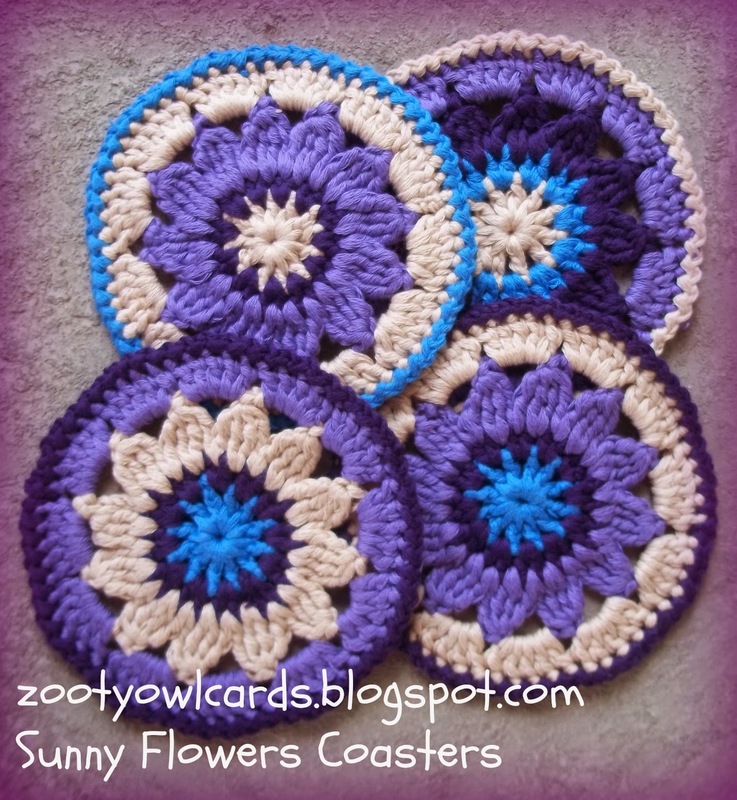 Some time ago I made up a little gift for someone special - a mandala and matching coasters. 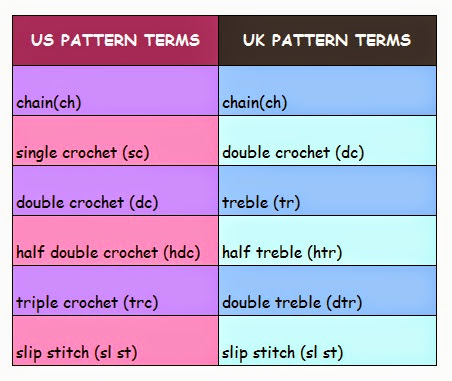 I like to play around with the same basic stitch groupings and designs to see what different effects I can come up with! The Dahlia centre is an extension of the Sunny Flower which forms the basis of the SUNNY FLOWER MINI MANDALA designed for the Yarndale Yarnbomb! I had already written up the pattern for the coasters - but had to wait until after the Yarndale secret was out to publish this! Row 4: Join yarn in 4 ch space between clusters; 3ch (counts as 1dc), 4dc (5dc grouping), 1ch into same space as join; *5dc (5dc grouping), 1ch into next 4ch space* *to* 11 x (12 x groupings); ss into top of 3ch at start to close. Row 5 ss into any dc; *1ch, 1ss into top of next dc* *to* to end 1ch, ss into ss at start of edging.